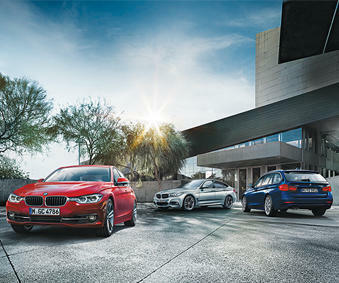 Take advantage of late model used cars for sale at Budds’ BMW Oakville. An affordable selection of vehicles delivers more than the mere thrill of owning a reliable and dependable vehicle, but the comfort in knowing that quality and performance is behind every wheel. Prior to being listed among other used cars for sale, all vehicles undergo professional inspection performed by certified technicians to guarantee a superior level of performance. Low mileage vehicles that deliver a quality and ultimate driving experience is the epitome of excellence for all used cars sold at our dealership. We strive to build trust with all former and potential customers by ensuring that each prospective used automobile has a genuine maintenance history, quality parts and efficient reviews via auto reports. The pride in our dealership is equally reflected in the pride we take in helping all of our customers to experience the ultimate purchasing experience. This can only be accomplished by providing an extensive line of used cars for sale that perform great and look good too. All of our vehicles undergo a rigorous exterior examination and an extensive inspection by factory-skilled technicians. Used cars for sale are inspected for safety, wear and performance. Issues are properly assessed, repaired and tested prior to listing. Our goal is deliver used cars that customers will be proud to call their own and even happier to drive home. We don’t just tell customers that our used cars drive great, we test them to make certain. First hand knowledge delivers a driving experience like no other. Therefore, all of our used cars adhere to a road test before they are available for purchase. Low mileage vehicles that are stylish in design, deliver superior quality performance and a stellar driving experience are the leading characteristics of used cars for sale at Budds’ BMW Oakville. If you’re in the market for used cars for sale, visit Budds’ BMW Oakville for purchasing advice or to schedule a test drive.